MUA’s Board of Directors is another avenue via which we demonstrate our commitment to Latina immigrant leadership and solidarity. Over half of MUA’s board must consist of member leaders that represent our different programs and offices. 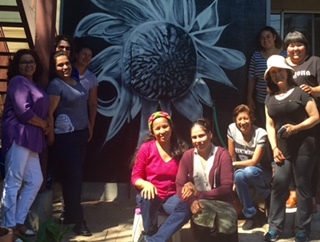 Community allies are selected based on their demonstrated support of and respect for immigrant women’s leadership as well as their expertise in key issue areas and sectors. All elected Board Officers must be MUA member leaders.